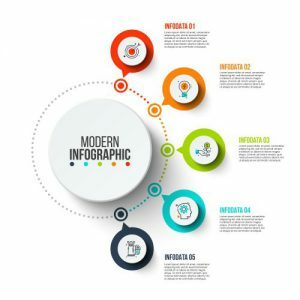 Because they grab attention, convey information quickly, and easily garner social media shares, infographics are a valuable marketing tool in the data-heavy construction industry. Using them throughout your marketing helps you reach a wider audience and connect with them faster. Every inforgraphic you create should tie into other content that expands on the topic and leads readers toward contacting you. A blog post, video or downloadable case study are all possibilities. If you create an infographic that gives property developers the dish on this year’s hot trends, connect it to a blog post describing how your company can help them cash in. If you make one about environmentally sustainable building materials and practices, tie it to a video on how you use those materials and practices in your clients’ projects. As one of the most shareable kinds of content on the Internet, infographics are practically made for social media. This goes double if they include handy tips or surprising facts that make the one sharing them look helpful and knowledgeable. Facebook, Twitter, and LinkedIn are some of the best places to post your infographics, but Pinterest is another good bet if you’re targeting home building and remodeling clients. Link your infographic back to a relevant webpage or other content where potential clients can learn more. Attention spans are short when checking email, so the faster you can get your point across, the better. 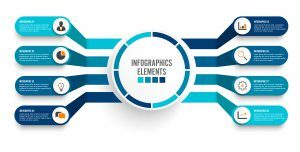 Infographics let your readers get the gist at a glance so you have a better chance of tempting them back to your website. While you can use one long infographic as your newsletter’s main body, there’s a high risk it will get caught in the spam filters. Instead, use small infographics to illustrate single ideas. If your newsletter talks about the three biggest pitfalls to avoid when planning a hospital renovation, include an infographic that illustrates each pitfall with an eye-catching icon. As Instagram’s algorithm evolves and it gets harder to reach your target audience, Stories are taking on an increasingly important role. 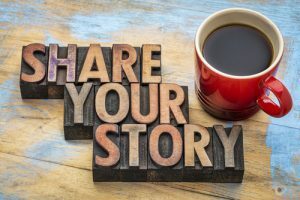 In the construction field, where there’s always something new to share, the growing interest in Stories is a promising opportunity to build your following. Because Instagram Stories disappear after 24 hours, they’re perfect for sharing candid behind-the-scenes glimpses into your company. They let you show your audience how you work so they gain more trust in your skills. They also give you a chance to share a little of your human side and develop a more personal relationship. Your distinct personality is a big part of what makes people want to follow and interact with you. Post Stories about recent progress on a building project, show how you solved a problem or give your audience the highlights from a recent trade show or office party. Q&A Stories are another good choice. These help you establish your expertise to build trust and show anyone not following you yet that your feed is the place to come for help planning their construction projects. Doing a regular Q&A is also an easy way to publish consistently, which is key for growing your following. The way you format and promote your Stories is what really makes the difference in how many new followers you gain with them. Add location and hashtag stickers to help people find your Stories. Unlike with standard image posts, you’ll want at least one broad, high-volume hashtag, such as #realestatedevelopment or #remodeling, if your goal is to build your following. After you post a Story, use your next image post’s description to invite your followers to check out the new Story. If your account has the option, consider using Promote for Stories. Let your followers on other platforms know, too. Share an image from the Story on Facebook or Twitter and invite your followers to see the rest on Instagram. 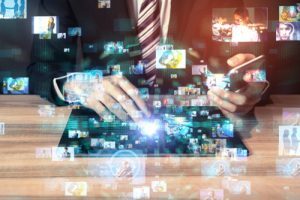 While you’re posting photos, thinking up captions, and mingling with your target audience, your Instagram analytics tool is busy gathering valuable data. Used wisely, this information can help you fine-tune your marketing strategy to better connect with your potential clients and even find whole new markets. The basic demographic information Instagram analytics tools provide tells you about the kind of audience your posts reach. This usually includes the gender split and most common age group, location, and online times. If you find you get more visitors from Providence than Boston, you might invest more in print ads in the Providence area. If you see most of your visitors are in the 55 to 64 age group, you might decide to go for more offline marketing overall. 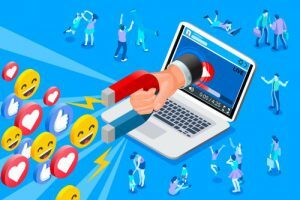 Knowing which posts get the most attention from your followers gives you valuable insight on the types of services they might be looking for. Instagram analytics tools help you spot patterns by letting you segment performance data on your posts by content type, specific time period, and measurement, such as reach or engagement rate. Say you notice your older followers are most active on your home remodeling posts. That could be a sign to put more emphasis on offering home upgrades such as aging-in-place features or home offices older adults can use for their post-retirement self-employment plans. In terms of guiding your marketing strategy, the data you get from your Instagram analytics is most useful as a broad overview of your audience. Avoid the temptation to see one or even a series of successful posts as proof of what your audience wants. Instead, look for patterns and trends. If one post about recycled building materials goes viral, that might only be thanks to a recent TV news report. If these kinds of posts are increasingly popular with your followers, though, you’re probably onto something profitable. What is Social Listening and Who Should Be Doing It? Social media gives you an invaluable opportunity to eavesdrop on your target audience and find out what they really think. Whether your ideal clients are homeowners or large commercial property developers, you can learn a lot just by listening. This is not to be confused with social monitoring, which is more about staying alert for important incidents involving your brand, such as praise from a major influencer. 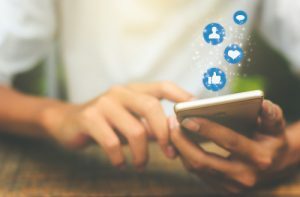 With social listening, you’re not just replying to questions, comments, and complaints, but also drawing valuable insight you can use to guide your business strategy. Can Social Listening Benefit You? Even if your company isn’t very active on social media, there’s a good chance a lot of your past, current, and prospective clients are. If you care what they think, social listening is worth your time. Watching your prospects interact with each other helps you get on their wavelength, making it easier to create marketing campaigns that truly connect with them. A better understanding of what your prospects want to learn about will spark ideas for blog posts, social media posts, and other content that actually does its job of attracting the leads you want. By putting common complaints and emerging trends on your radar, social listening can lead you to new opportunities. If you notice local restaurant owners are interested in features that bring the outdoors in, you can appeal to them with your expertise in skylights or sunroom terraces. Posted on November 27, 2018 Author David MineerCategories NewsTags benefits of social media, online reputation, social media marketing, social media networkingLeave a comment on What is Social Listening and Who Should Be Doing It? As the largest social media platform out there, Facebook is a goldmine of potential construction clients. By sharing valuable information, spending time with your target market, and honing your advertising skills, you can attract more of those clients to your firm. To stand out in your would-be clients’ cluttered Facebook timelines, it helps to offer something that’s both eye-catching and genuinely valuable. Providing useful guidance also establishes you as a knowledgeable professional who can be trusted with high-value construction projects. Create striking before and after photos of your building projects, short tour videos, infographics with surprising data, Q&As, and anything else that helps your ideal clients reach their goals. Showcasing related businesses doing good work for your target audience can also get you some attention. Interacting with people in your target audience and the pages where they’re likely to spend time helps put you on the radar of more potential clients. So if you offer medical facilities construction, look for pages run by hospital administrators and pages that offer guidance on hospital management. Spend some time making thoughtful comments on their posts, answering questions, and asking your own questions. Even if the page owner never acknowledges your input, there’s a good chance some of their followers will. Managed wisely, Facebook ads can give you a better ROI than nearly any other form of online marketing. To pull in interested leads, create a specific, valuable, audience-targeted offer. That could be a free whitepaper, a 15-minute strategy session by phone or even an invitation to a local discussion panel you’re hosting. Take advantage of Facebook’s targeting options to find your audience. If you do home upgrades, you might use the life events targeting option to find people are moving to a new house. Track conversions, such as invitations to bid, not just likes. Split test your ads so you can keep refining them. Facebook ads might be a relatively cheap way to reach your ideal construction clients, but running a campaign is still an investment of time and money. By A/B testing your ads, you’ll get clear data showing you which ads are worth investing more in and which are best deleted. 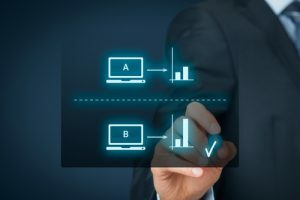 A/B testing, or split testing, lets you compare the performance of two different versions of an ad. In order to compare, though, you need to decide exactly what kind of performance you’re looking for. What makes an ad the “best” isn’t always the number of click-throughs it gets. Your most-clicked ad might not actually be meeting your business goals. If you’re running a brand awareness campaign to let your target audience know you’re the most experienced restaurant construction specialist in the area, your goal might be to get as many shares as possible. For an email list building campaign, however, the ad that brings the most sign-ups is the winner, even if it doesn’t get the most clicks overall. A/B testing works best when only one variable of your two Facebook ads is different. This way you’ll know exactly what caused one to outperform the other. You might find the ad with a picture of a finished building gets more clicks than one showing a project in progress. So if you’re comparing two different photos or a photo versus a video, use the same text. If you compare two texts, use the same images. To collect data on your ads, you’ll need URLs you can tell apart in your reports. Google Analytics UTM tracking parameters allow for advanced tracking, but a link shortener such as bit.ly or tinyurl.com will work for basic tracking. Testing both ads equally keeps your data accurate. Run one ad for at least three days, then hide it and run the alternate version at the same amount of time on the same days. 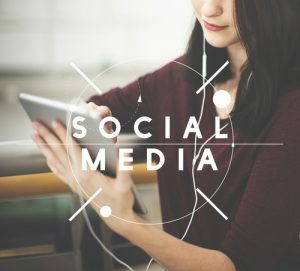 Twitter might not be the most popular social media platform, but with more than 300 million users, it still holds a lot of potential for connecting you with new construction clients. By enabling Twitter Cards, you’ll have more space to show your followers you have what they’re looking for. While Twitter Cards let you include a lot more information than the standard 280-character tweet, the default Twitter Card shows only a “View summary” link at the bottom. Because that might be all that shows when your blog readers post or re-tweet your content, your tweets should offer strong motivation to click that link. Just announcing the services you offer won’t cut it. 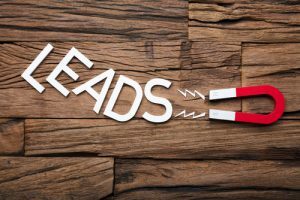 If your goal is to bring in leads, enabling Twitter Cards on your free lead generation content is a good way to do it. When you share the link, include a compelling comment in the tweet text section. It might be a clear benefit such as “Save $5000 on your home renovation” or something more curiosity-piquing such as “We were surprised to discover this.” Then use the card’s description section to outline the main benefits your lead magnet offers. Images grab attention and express ideas quickly, so they’re great for attracting readers back to your website. The clickable images on Twitter Cards are even more effective. To get the most out of your images and videos, skip the ordinary pictures of completed buildings and try close-ups of striking architectural elements, quick video tours, highlights compilations, timelapse videos of projects or visually powerful graphics. If you do renovations, use dramatic before and after pictures. Choose images with a 2:1 ratio and a size of at least 300 to 157 pixels. Use the Twitter Card Validator to make sure your card isn’t grabbing your logo or headshot instead of the image you want. Finally, include a text description both for the search engines and for the visually impaired. If your ideal clients are business owners, whether real estate investors or retailers, you can find them on LinkedIn. 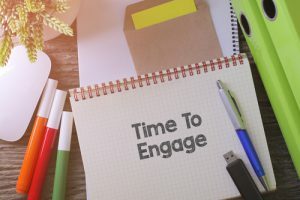 While getting those business owners to engage with you takes some creativity, there are some simple techniques that are proven to evoke a response. Share links – A status update doesn’t give you much space to add value, but by linking to another resource, you can connect your followers with something that truly benefits them. LinkedIn users are nearly 50 percent more likely to engage with an update that contains a link. Linking to your website isn’t the only way to bring in new prospects. Just by regularly sharing quality links, you become a trusted source of useful information, which encourages your followers to contact you when they’re planning a new project. Ask questions – Questions give your followers a quick and simple way to interact with you, so they easily garner more comments. To prompt more replies, formulate thoughtful questions on topics your target clients have definite opinions on. As an added benefit, smart questions and polls help you learn what your target clients are looking for. Post images and video – Images and videos get between 75 to nearly 100 percent more likes, comments, and shares than text-only updates. Photos and videos of your projects tempt your followers to your website to see more. A short video of you answering a common question or alerting your visitors to a new trend can also work well. These give you a chance to pitch your services and invite viewers to get in touch. Build showcase pages – LinkedIn’s showcase page feature lets you highlight your company’s specialties beyond your main profile, helping you better target separate market segments. If you offer both multifamily housing construction and home renovation services, you can create a showcase page for each client base. Because LinkedIn members can follow these pages individually, you’ll be able to post interest-tailored updates that spark more reactions than the general updates on your main profile. Should Instagram Be Part of Your Marketing Strategy? If you don’t spend much time on Instagram, it’s easy to assume people who do are just there for the fitness models and tropical beaches. In reality, Instagram is a place people turn for inspiration on just about anything, including their future home design, remodeling projects, and even real estate investment projects. As with any marketing channel, whether or not Instagram makes sense for you depends on your target market. Instagram’s demographic skews young, so it’s a good bet if you’re targeting first-time home builders or those renovating fixer-upper starter homes. Given the popularity of hashtags such as #homeinspo, it’s clear any type of home improvement service will find an audience. On the other hand, if your target market is primarily interested in commercial and industrial building projects, such as warehouses, office complexes or retail shopping centers, Instagram probably isn’t the best place to connect with future clients. Ultimately, deciding whether or not the platform can benefit you requires a little market research. Spend some time on Instagram browsing popular hashtags related to your specialty, such as #homerenovation, #luxuryhomes or #kitchendesign, to see if your potential clients are active there. Some social media platforms quickly turn into a time sink because they require several posts a day and lots of audience engagement to bring you any results. Instagram, however, is an ideal platform if you’re pressed for time. Just one or two posts a day is enough, and even less often than that can work well, too. Consistency is more important than frequency. If you’re regularly taking good quality photos of your finished and on-going projects, your workers on the job, and day-to-day happenings at your office, you already have material to post. Write a descriptive caption, add some relevant hashtags, and you’re done. You can then work on getting your name in front of potential clients by liking, commenting, and following in your spare time. Posted on July 26, 2018 July 26, 2018 Author David MineerCategories NewsTags social media lead generation, social media marketing2 Comments on Should Instagram Be Part of Your Marketing Strategy?